Good managers help their people to see the positive side of change, say the experts at Ashridge Business School. Human beings are biased to prefer the status quo, and our natural reaction to the prospect of change is to fear it. In a world where the pace of change is growing ever faster, this presents a problem for managers, who know that they must embrace change and work with it if they are to stay ahead of the competition. How do you persuade people to grasp the nettle and get on with doing things they may not like the sound of very much? Happily, processing, planning, and implementing change is a skill that can be learned, and one that anyone aspiring to be a manager or a member of the board must have in their repertoire. Here’s our recipe for making successful changes happen. While employees are the driving force behind most businesses, they can also present some of the most compelling reasons for change. Therefore, one of the biggest challenges facing managers is how to deal with people with empathy, to help them understand the need for change, and how they can help bring it about. There’s always going to be resistance; whether you’re bringing in consultants in a bid to improve employee performance; updating the technology used by staff to something they’re not familiar with - or even threatened by; or implementing a change which could be seen as creating more work for employees. It’s how you handle these situations which will make you worth your salt as a manager in the eyes of both staff and board members. Change almost always involves expenditure, at least in the short term, so it’s important that managers have clarity and control over any cost to the organisation. Some costs will be easier to monitor than others; installing a new software program, for example, often has one easy-to-manage fee, with monthly or yearly costs in place thereafter. On the other hand, it can be much harder to assess the true cost of something like a complete overhaul of your marketing strategy, or the implementation of a new business model in the wake of competitor developments. Cost-effective management of change also comes back to the people. Financial incentives are a great way to encourage cooperation, but can also backfire if not handled correctly. Be very careful about crossing the line into coercion - it can make an effective if drastic tool in the hands of experienced managers, but used inexpertly can have lasting negative effects . Ultimately, while the board may decide on the course plotted, it’s the management who are captaining the ship and actually implementing the changes. That means exercising leadership. Good leaders know their organisation inside out; its current status, key issues (and potential issues) that need to be faced and how you might resolve them, and of course where you should all be headed and how you will know when you’ve got there. Leaders must also have a plan, and be able to present it with confidence and precision. Employees should feel stability in the process, safe in the knowledge that no stone was left unturned before a potentially damaging change was implemented. Leaders should be able to generate enthusiasm by openly discussing the end goals, and how the effort of implementing the plan will be made worthwhile by the results. 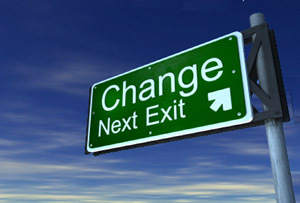 Ultimately, all great managers must understand organisational change because there is no way of stopping it. Change is going to happen, and in the majority of cases it’s for the better. If you’re unable to lead the way, you might not be management material. This article was written by the management specialists at Ashridge Business School. and their next Masters in Organisational Change programme starts on 14 March 2016.